I’ve seen many people tweeting on what eggs and bunnies had to do with Easter. Wellllll as a loyal googler I did my research and here you go!! Happy Easter from Nikki305.com ! Coloring eggs is an established art and they were used in various holiday games; parents would hide eggs for children to find, and children would roll eggs down hills. These practices live on today in Easter egg hunts and egg rolls. 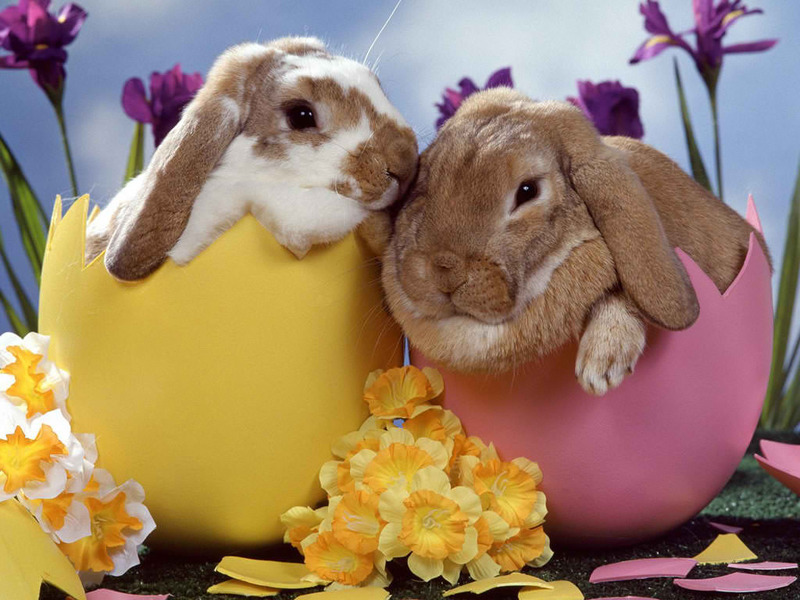 Like eggs, rabbits have long been symbols of fertility and, in fact, were the symbol of Eostre. ( an Anglo-Saxon goddess of spring and fertility) The concept of an “Easter Hare” comes from Germany, where tales were told of a white “Easter hare” who laid eggs for children to find. German immigrants to America brought the tradition with them and spread it to a wider public. They also baked cakes for Easter in the shape of hares and may have originated the practice of making chocolate bunnies and eggs. Next Ryan Phillippe No Longer Wants To Be An Actor?! Say It Isn’t So!